The U.S. housing market continues its modest recovery, as new home sales increased 7.6 percent in May, to a seasonally adjusted annual rate of 369,000 homes, according to the Commerce Department. Despite a weak job market, that is still the best pace since April 2010, which was the last month that buyers could qualify for a federal homebuying tax credit. Even so, as reported by the Washington Post, the annual sales price is less than half of the 700,000 that economists consider to be healthy. The supply of new homes is still relatively low, as 145,000 were for sale in May, just a slight increase from the 144,000 in April – the lowest supply on records dating back to 1963. Also, at the current sales price, it would take 4.7 months to exhaust the May supply of fresh property, whereas economists say a six-month supply is normal. "With no excess inventory of unsold new homes, any sustained rebound in new home sales should quickly translate into firmer prices," said Steven Wood, chief economist at Insight Economics. New home sales were concentrated in the Northeast and the South, with sales at 36.7 percent and 12.7 percent, respectively. 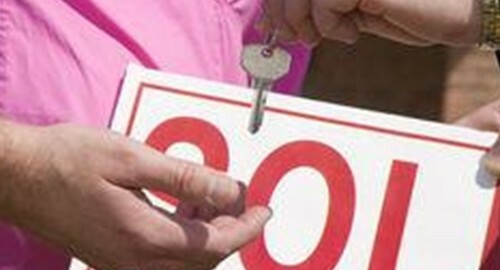 The Midwest saw a 10.6 percent drop while the West's new home sales fell 3.5 percent. With new home sale prices bound to fluctuate, depending on the economy and job market, lenders should consider investing in loan management software as well as an amortization calculator. This way they can ensure that borrowers are given a payment plan that suits their needs as well as the lenders.